This is for parents, teachers and those interested in education and how it works. I read an interesting article in the TES recently – ‘Spare us from the hypocrites who preach about how to teach’ https://www.tes.com/news/school-news/breaking-views/spare-us-hypocrites-who-preach-about-how-teach - about the idea and reality of universities running our schools. Ed Dorrell https://twitter.com/Ed_Dorrell is Head of Content at the TES and the writer of the piece and he does not seem very content at all. It led me to think about who has taught me best to teach in primary school classrooms since the turn of the millennium. On my PGCE course, I enjoyed many of the lectures on pedagogy and the idea of the zone of proximal development (ZPD) introduced by the Soviet psychologist Lev Vygotsky (1896–1934) https://en.wikipedia.org/wiki/Zone_of_proximal_development .Roughly speaking, the idea is that a learner follows an expert's example and gradually develops the ability to do certain tasks without help. This and other ways of thinking about teaching and learning have remained with me since then: they underpin my practice. I also learned from being in the classroom and observing and conversing with other teachers and learners. I soon realised that teaching a five-year-old is completely different from someone who’s eleven. 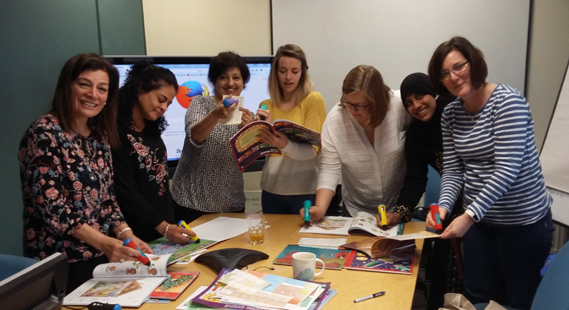 In my experience, EYFS teachers have a broader range of skills and understanding of learning in general than upper primary teachers, but the teachers of the older children introduce and develop complexity in learning. Both sets of teachers learn from each other and there is much magic that happens where they overlap, like the middle point of a Venn diagram https://en.wikipedia.org/wiki/Venn_diagram . To use a topical but perhaps tenuous metaphor, I see the EYFS educators as the Conor McGregors of the educational world (masters of many trades, adaptable) whereas the teachers of older children are the Floyd Mayweathers (specialists). Both have their merits in their own worlds with skills and approaches to match. The teaching required for effective learning in a university setting is not the same as when learners are younger, so in terms of sharing good practice, perhaps those teaching in university are not best placed to give first-hand advice. Nevertheless, research by universities linking with schools on the effects of different methods of teaching may assist schools to improve learning effectiveness further, as well as perhaps the universities themselves. In contrast to many of the Great Britain and Northern Ireland athletics squad recently at the World Championships in London, there is no fourth place for universities so everyone receives at least a bronze http://www.telegraph.co.uk/athletics/2017/08/13/fourth-placed-finishers-brits-just-missed-medals-london-2017/ . Anyway, there is plenty more in the article about market-led reforms, the role of universities in general and more. In summary, Ed Dorrell does not think that universities should run schools. According to him, schools should focus on teaching and universities should focus on learning. I think that there should be some overlap, like in the Venn diagram analogy I gave earlier, but both types of institutions should respect each other’s knowledge and expertise in an environment of questioning and exchange, teaching, research and learning. As educators, we must aim to continue to be effective learners throughout our lives. Thank you to Ed Dorrell for his article that encouraged this response https://twitter.com/Ed_Dorrell. August is in its twenties now, so many educators will be beginning to prepare for returning to school. What are your thoughts on who should teach the teachers?